The MIM-104 Patriot and the S-400 'Growler' are among the most advanced multi-role Air Defence Systems ever exist on the planet, both are currently in full deployment. One must remember, that it is never easy to compare one system to another system without looking at the bigger picture since both they are unique on their own design. Take a consideration that in modern warfare especially at the battlefield, no single system that works on its own, of course the system depends on another element or unit in order to accomplish its mission success. Any given system and unit has a fixed role to play in war and it should works in sync with other systems or units that will eventually help achieve the desired goal. On this weblog we resorting to a brief comparison to avoid a every lengthy description which might be quite complicate the accuracy in our comparing guest. To start off right away i commence with the S-400, which is a heavy hitter with very long-reach capability, at other side we have a Patriot that has a shorter engagement range. Please remember,we are talking about two different classes of systems, and each one has its own dis/advantages. S-400: Is an evolution of S-300 family that also rendering significant anti-ballistic missile capabilities. Its humongous 40N6 interceptors fulfils anti-ballistic missile roles, at approximately 150 - 160 kms engagement altitude. Although much information about the technical designs of s-400 is largely contained from the public, and some defence analysts have no clue or getting opportunity to examined closely the s-400 in learning if these interceptors can truly execute their battle requirements effectively (other than development tests in media). The S-400 is highly flexible when it comes to engagement ranges. The system uses multiple types of interceptors based on the targets range. 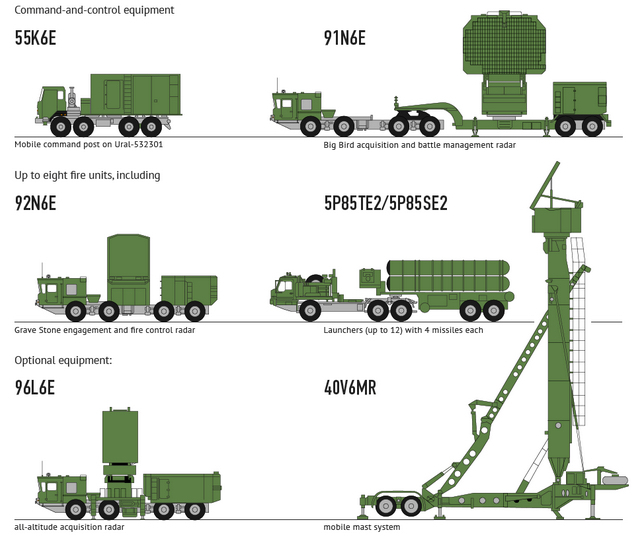 The S-400 command node can use one of the following interceptors to bring down its target: The insane 40N6 (~ 400 kms) , the very long range 48N6 (~250 kms), the long range 9M96E2 ( ~120 kms) and medium range 9M96E (~ 40kms). The Russians find this approach of arming a single system with multiple interceptors most suitable for combat mission. The Patriot missile system has been deployed in many combat situations because it is able to shoot down enemy missiles (e.g., Scud missiles) and protect soldiers and civilians from a missile attack. Patriot missile batteries were tasked several times in the Iraq and were extensively used in the 1991 Gulf war during Desert Storm Operations. S-400 Triumf on the mobile-based launcher,Kaliningrad,Russia. 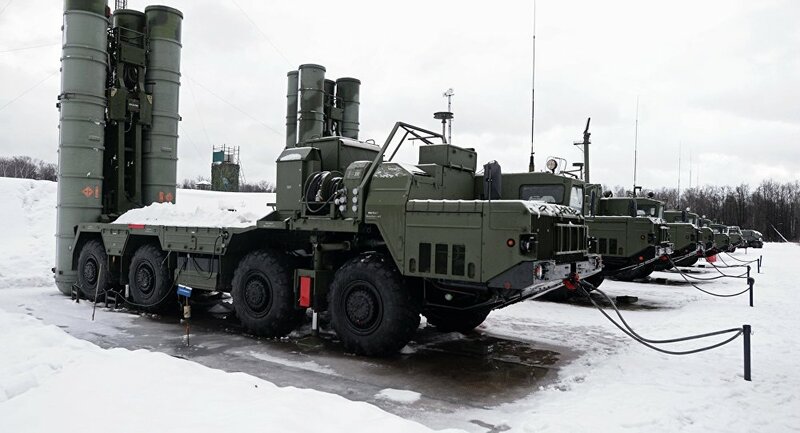 The first S-400 system became operational in 2007 and entered service when it was assigned to Air Defense Corps the regimental unit that responsible for defending Moscow. Since then it became fully operational. The system has seen several high-profile deployments, augmentation of S-300 improvement which is also operational together with s-400 in several key areas. Notably, S-400 units are stationed in Kaliningrad, where it defends Russia’s significant military presence from aerial attack. Besides Kaliningrad, the system was also deployed to Tartus, Syria in 2015, to guard Russian and Syrian naval and air assets. Russia has also stationed S-400 units in Crimea to strengthen Russia’s position on the recently-annexed peninsula. In addition to being deployed by Russian forces, the system is also currently being marketed to other countries. In 2015, China signed an agreement with Russia to purchase six battalions of the system. In 2016, India likewise contracted to purchase five battalions. I should retaliate that S-400 is the best Air-Defence System for any nation could wish to have: This proven in many reasons and factual evidence, that made several military procurers and countries to turn their heads to a Russian-build system. Why Turkey is buying S-400 and not MIM-104 Patriot although is part of NATO?